ATLANTA - For most of the season the New England Patriots have been creatures of habit on defense, sticking to their principles and making just enough plays to win. 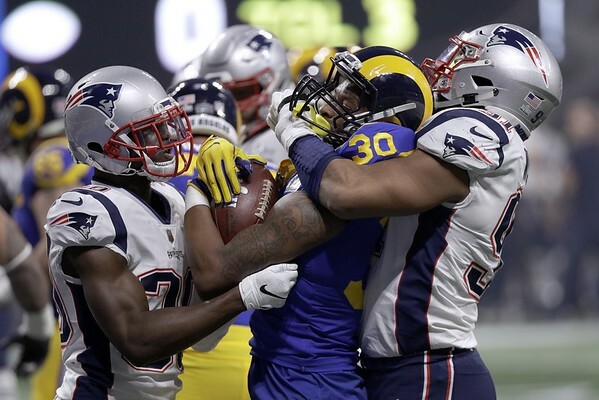 The Patriots’ defense gave Goff different looks all night and many of them seemed to confuse the 24-year-old quarterback. They routinely sent an extra deep safety on third-and-short situations and disguised their blitzes up the middle. The latter benefited linebacker Dont'a Hightower, who dropped Goff for a pair of sacks to stunt drives. Posted in Newington Town Crier, General Sports on Sunday, 3 February 2019 22:47. Updated: Sunday, 3 February 2019 22:50.